Today the temperature in Holland will rise again towards 30 Celcius. It would be a lovely treat to cool off with this awesome outdoor shower from Habitat. This striped tent from The Conran Shop adds a fun, quirky touch to the luxe garden setting. 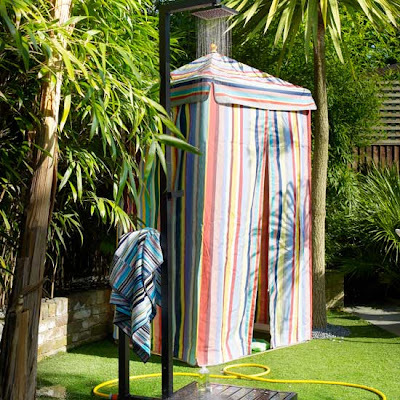 Do you have your own garden shower? Or would you you like to have one?